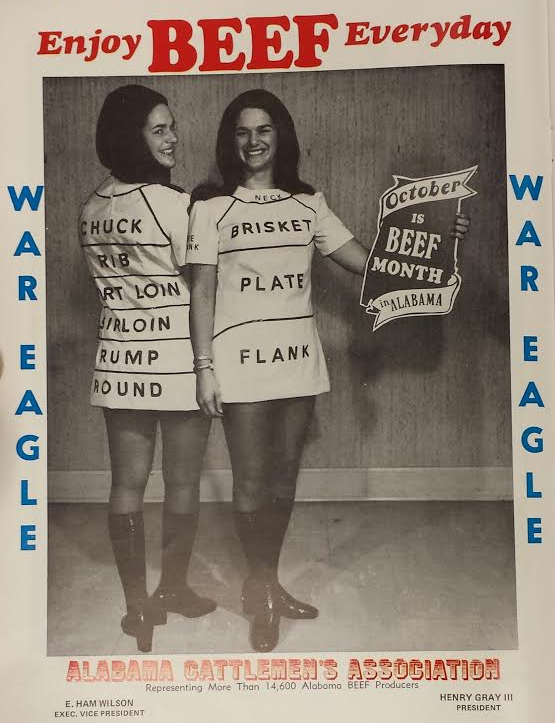 The Alabama Cattlemen’s Association will see your not-so-subliminal recruitment ad, Auburn ROTC, and raise you an ad that forces you to literally look at a young woman like a piece of meat. Auburn coeds? Who can say… so many cow college jokes regardless. Wait, are they twins?! UPDATE: We’re told then ACA’s Vice President Ham Wilson is that Ham Wilson whose name is on Auburn’s, you know, Ham Wilson Livestock Arena. Related: Miss Auburn 1979 was a real cow.